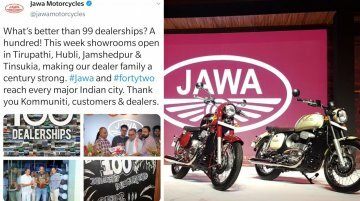 Classic Legends has announced via Twitter that it will inaugurate the 100th Jawa dealership in the country this week. It has already commenced operations at 99 outlets, and it will add four more to.. 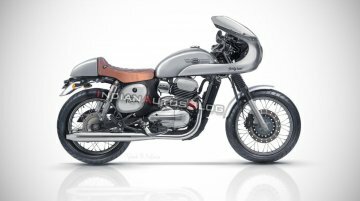 Previously, the Jawa Forty-Two was rendered as cafe racer with a semi-fairing design. 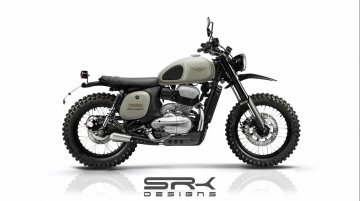 Now, digital artist Shoeb Kalania has imagined it in a rugged avatar as a scrambler and shown the rendering..
Classic Legends commenced the deliveries of Jawa motorcycles in the last week of March. 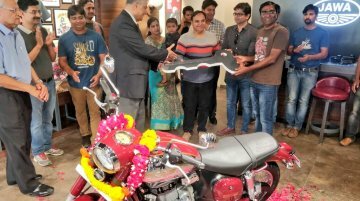 The bikes are being delivered to customers who made bookings online from 15 November 2018, as per the booking..
As promised, Classic Legends commenced the deliveries of Jawa motorcycles in India in the last week of March (March 30, 2019). 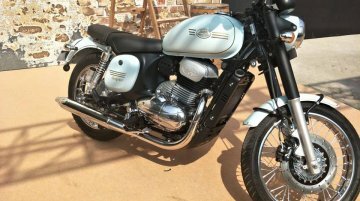 The bikes are being delivered to customers who made bookings online from..
Last month, Jawa Motorcycles’ Twitter handle confirmed that the deliveries of the Classic and Forty-Two would commence in March. However, the brand did not mention a specific timeline. 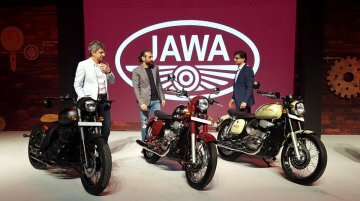 In recent updat..
Classic Legends have witnessed a positive response for the Jawa motorcycles introduced in the Indian market. 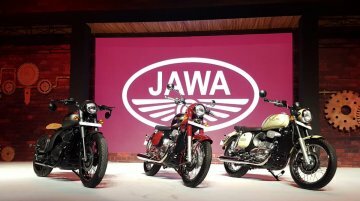 The two-wheeler brand closed its online bookings, and the bikes are sold out until..
It’s been four months since the Jawa classic and the Jawa Forty-Two were launched in India, and the bikes are yet to be delivered to customers. 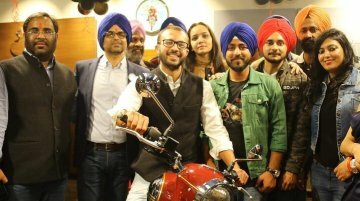 That said, the company has now revealed through social m..
IAB’s restoration journey has taken a turn towards Rajasthan where we came across the collection of Devashish Jethwani, an avid collector of retro motorcycles and cars from Kota. 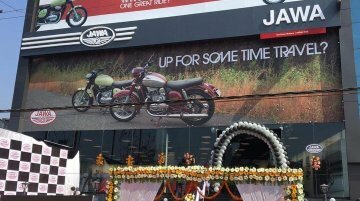 The bike you in the i..
Classic Legends has inaugurated three new Jawa dealerships in Punjab. 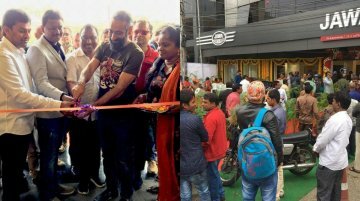 The new dealerships, located in Jalandhar and Ludhiana, were opened on February 6, 2019. Both dealerships are owned by Shree Dadu..
Classic Legends continue to extend its dealership network as the company says Aadab to the City of Nawabs. 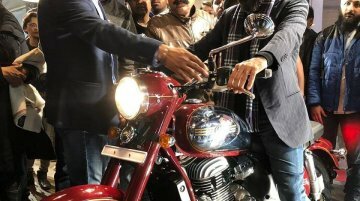 Classic Legends inaugurated its new Jawa dealership in Lucknow on February 4, 2019. 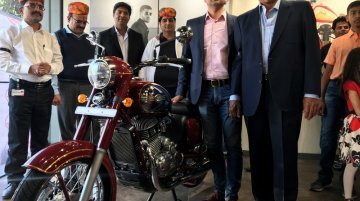 The Jawa..
Classic Legends continue to expand the dealer network as the company inaugurated three new outlets in the Hyderabad. 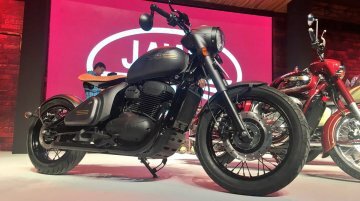 The three dealerships in the city are located at Banjara Hills, Kukatpally, and..
Classic Legends has revealed to IAB that the company will commence deliveries of the Jawa and the Jawa Forty-Two in February. 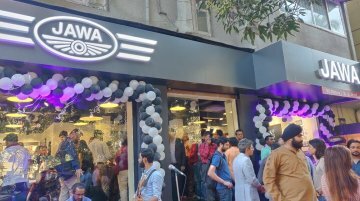 The company states that it hasn’t shipped a single unit to..
Jawa Motorcycles has inaugurated its first-ever dealership in Nashik, Maharashtra. 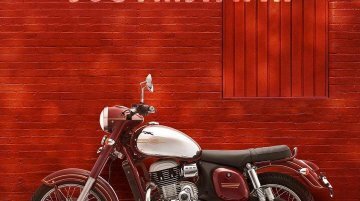 Including the new outlet and the existing ones two in Pune (two), Delhi (five), and Bengaluru (three), there are now..
How do you like our Jawa Forty Two cafe racer? 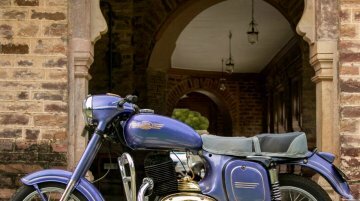 The Jawa Classic and Forty-Two received a positive response in the Indian market. In fact, the motorcycles are sold out until September 2019. 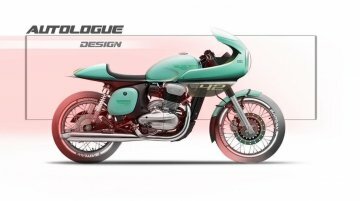 Online bookings for the Jawa and Jawa Forty-Two are..
Pune-based Autologue Design, a company that makes body kits and accessories for motorcycles, is proposing a classic café racer version of the Jawa Forty-Two through renders. The company is not..